Sydney Duo / Band 274 - Available for Weddings, Events. 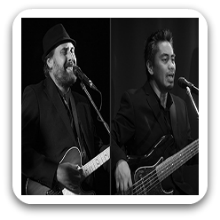 Sydney Duo / Band 274 are a talented and versatile male singing DUO, with a wide and varied repertoire made up of relaxed and chilled music, as well as rhythmic and up-beat dance / party tunes – all the way from the 60’s to now. Their style is fun and imaginatively musical, offering rich and full sounding renditions of well-known songs, Sydney Duo / Band 274 songs are performed with multiple textural layers – melody, rhythm, harmony, bass, and other tone colours – producing a full-range sound not commonly seen from a two-man act. Also available as a TRIO and 4-PIECE, Sydney Duo / Band 274 can be expanded to deliver a more energetic stage show, through the addition of musicians, such as a live drummer, keyboardist and female singer. 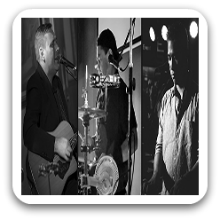 Can perform as a: 2, 3 and 4 Piece Band and are available to perform in Sydney and Surrounding Areas. They are so versatile and will meet your every need. We ended up with a four piece band, with male and female lead vocals – they made a lot of noise with HUGE ENERGY without taking up too much space on the floor. HIGHLY RECOMMENDED, especially if you want a rocking party!